Do you incorporate snacks into your meal plan each week? 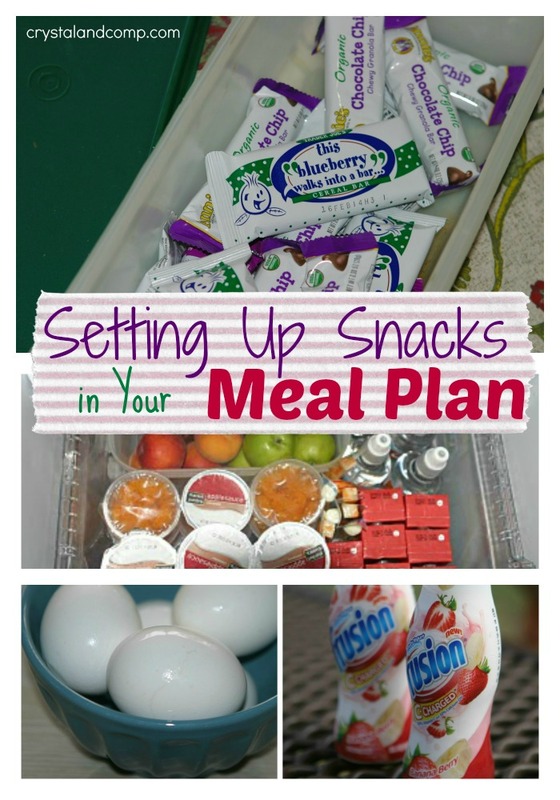 Doing so is a great way to have budget friendly snacks on hand and a great way to be prepared. Once you get into the groove of doing this, it also prevents kids from over snacking and over eating and then spoiling their dinner. Over the weekend I shared with you how to include snacks in your meal plan and a list of healthy snack ideas. I also shared how to store them for easy access as well as how to set up boundaries. If you missed it, I highly suggest you take a look at it. This post was inspired by a question at a meal planning class I did at a local moms group this past week. What are you serving your family this week for dinner? On the lookout for easy recipes? I have you covered! Here is what I am feeding my family. Smoked Sausage Pasta– this is a new recipe I will be sharing here on the site. Served with fresh fruit and a dinner salad. Many Clove Garlic Chicken in the Crockpot– (this is a Trader Joe’s sauce) served over steamed brown rice with garlic butter asparagus. Puerto Rican Stew– this is an all in one stove top meal. Crockpot Tex Mex Wraps– using a corn and black bean salsa I got at Trader Joe’s last week. Served with Puerto Rican Rice. Puerto Rican Guava BBQ Chicken– my mother-in-law loaned me an authentic Puerto Rican cookbook about 3 years ago. Maybe even longer. I put it up in a very safe place so I would not lose it. Well, it was such a safe place that even I could not remember where it was. I just found it on a book shelf in another room last week. Totally trying this yummy new BBQ sauce idea that is guava based which is a fruit that grows wild in Puerto Rico. Yum! My eBook How to Meal Plan will be on sale this Wednesday for $0.99 over on Amazon. If you have not grabbed a copy yet, now is the time. If you have a friends who wants a copy, refer them over!